Ever found Russian literature a little hard going? Well, luckily a work by Russia's greatest playwright has been propelled into the present by giving it a digital makeover. 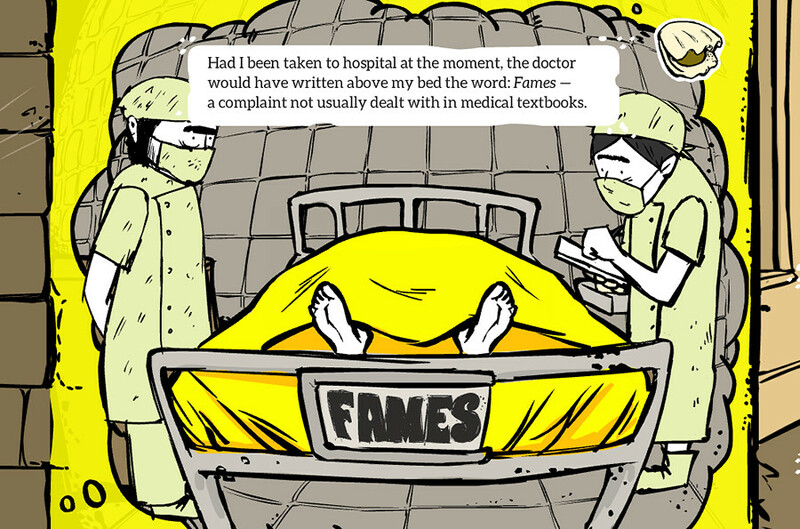 What if each paragraph of a novel was animated? Swipe left and a new moving picture appears. 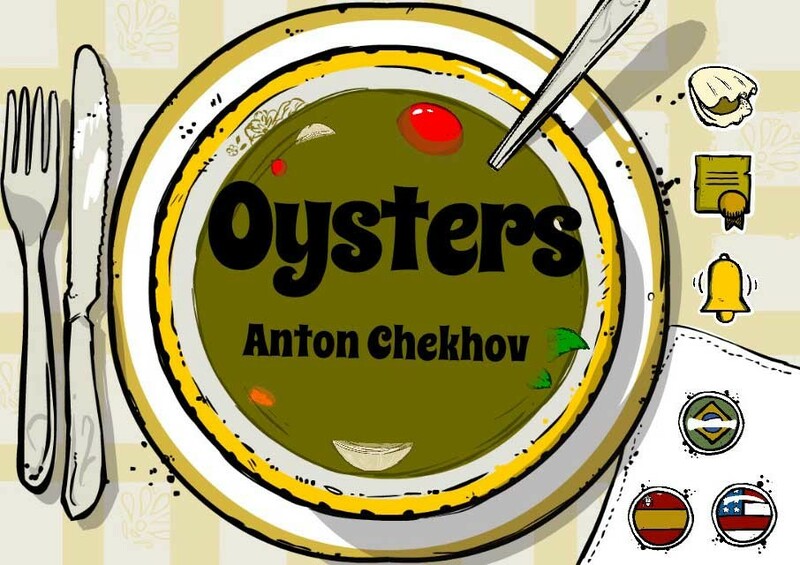 This might be hard to do with Russian works like War and Peace, but a short story by Anton Chekhov – Oysters – has been given the digital treatment. Brazilian startup StoryMax is pioneering new ways of reading – a programer and two artists have created an app in tandem with a publisher, PR person, editors, translators (about 15 people in total). You can download it for free from Google Play and Appstore and it’s available in Portuguese, Spanish, and English. Chekhov is Russia's master of short stories, despite the fact he’s more internationally renowned as a playwright. Oystersis not his most popular piece – so why was it chosen? “We were looking for a short story that spoke about hunger, but that was not necessarily sad and heavy,” Samira Almeida, publisher at StoryMax, told Russia Beyond. The company is not only trying to get people to read more, but also to draw attention to pressing global issues. In this particular case it's world hunger. “According to the 2015 Global Hunger Index, approximately 795 million people around the world, equivalent to one in nine people, still go hungry,” the app reads. “Oysters is part of a free distributed collection where each title is chosen for its relationship with the United Nations Sustainable Development Goals (SDG) – there are 17 major goals agreed between countries to make the world better by 2020,” Almeida said. One of the goals of the project is to encourage people to help find ways to solve humanitarian challenges facing the planet. Oysters is not the first StoryMax digital book. The company has also reinvented Jules Verne’s short horror story Frritt-Flacc and created an app about Mary Shelley’s character Frankenstein, called “Frankie for Kids.” The developers have already reached more than 100,000 readers in 67 different countries. People at StoryMax didn’t plan to keep working with Russian literature until they were peppered with messages from people asking for more. They are now looking for collaborators and translators who can help them make more Russian works interactive. What’s more, those working for StoryMax admit they’ve completely fallen in love with Chekov after immersing themselves in his work. 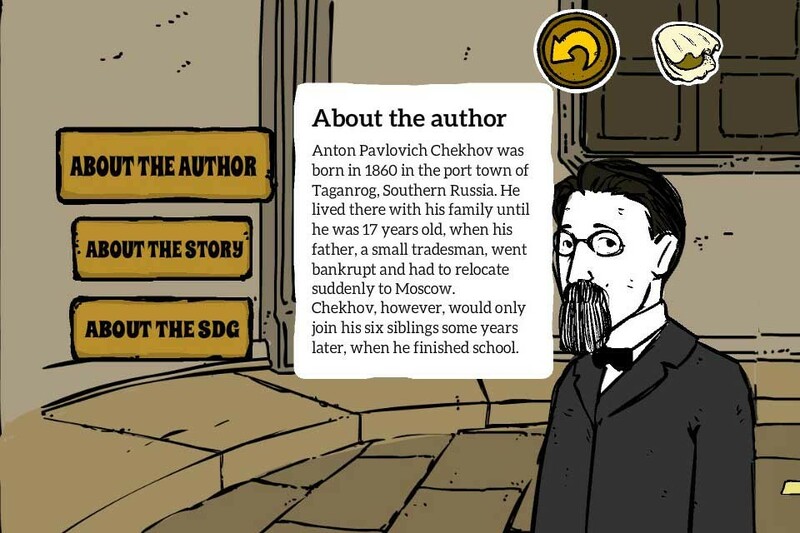 Explore geography, plots and characters of Leo Tolstoy's War and Peace with a new English-language app.